The fatal power of coincidence! Turkey / 18 minutes / color / Atlantik Film, T.C. Ministry of Culture, Tourism Directorate General of Copyright and Cinema, MTN, Galaksi, Sinefekt, Melodika, Cobay, Sinemaj Dir & Scr: Umut Aral Pr: Umut Aral, Ömer Atay Cine: Gökhan Atilmiş Cast: Ruhi Sari, Gürkan Uygun, Ali Çekirdekçi, Selçuk Uluergüven, Inanç Ayar. One day, on the sidewalk in front of the train station in Konya, there’s a collision between three men. By coincidence, all three are criminals, and the consequences of this accident are going to be profound. The accident occurs because small-time pickpocket Ali Akar (Sari) is being chased by a street cop (Ayar) and fails to see the other two in time to dodge them. Those other two are the smartly dressed thief Cem (Çekirdekçi), who carries a suitcase full of money that he’s stolen from a big-league gangster known only as the Konyan (Uluergüven); and Musta (Uygun), aka “Brass Knuckles,” who has been sent by the Konyan to kill Cem and get the Konyan’s dough back. As a result of the impact, Cem’s valise goes flying high into the air. 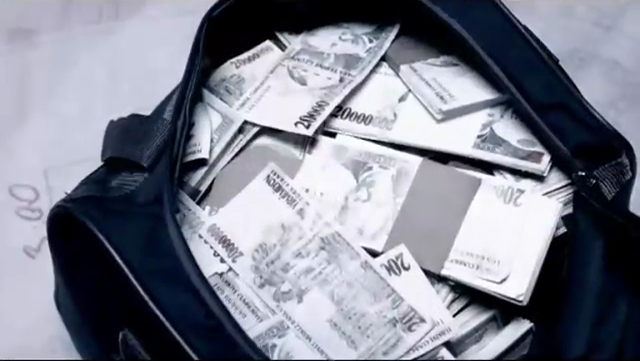 At the height of its trajectory it lazily opens to release a blizzard of paper money. As the locals converge on the scene the three crooks are able to escape the cop. That’s the birth of the nefarious gang known as the Three Musketeers, who are soon engaged in a three-man crime wave in Konya. Cem is the brains of the operation, the planner of their increasingly spectacular crimes; Musta is the often murderous muscle; and Ali, who also narrates the tale, is the technician and pilferer of useful items . . . such as safe keys. 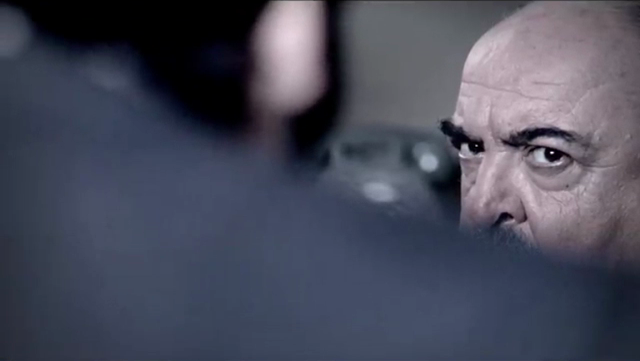 Selçuk Uluergüven as The Konyan. But this can’t go on forever, as Musta explains to Ali. The Konyan never forgets and he never forgives. He will track down Cem and kill him for stealing from him, then kill Musta as well for not having fulfilled the contract to murder Cem. However, Musta has a cunning plan, a plan that involves staging the apparent killing of Cem before the Konyan’s very eyes. Of course, the plan all goes horribly wrong. Even so, Ali believes that the avuncular Konyan has, out of the goodness of his heart, permitted him to walk away scot free from the whole fiasco to live on what’s left of his ill gotten gains. He’s wrong about that, too . 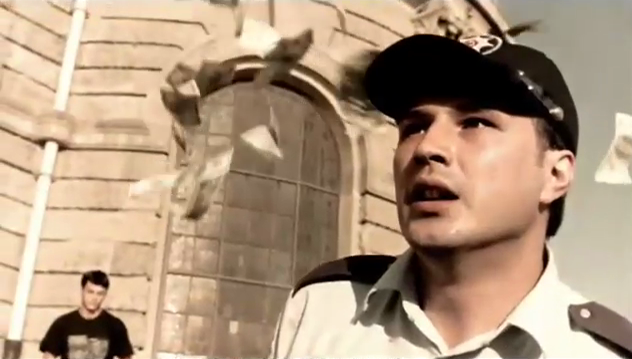 . .
Inanç Ayar as the cop. This is a very adroitly put together movie, and one that’s not afraid to take a few narrative risks. The cleverest part is when Musta is explaining to Ali his plan to hoodwink the Konyan; the explanation is intermingled with the scene showing how events actually pan out, so that we’re never quite sure if we’re witnessing Musta’s mental picturing of how the scheme should turn out or the actual outcome. This makes the various twists and turns of the movie’s latter stages all the more effective. Çarpisma is also conscious of its noir ancestry, and this is expressed in its cinematography, plotting and characterization; that said, because its central character, Ali, is a trickster, we’re never too far from humor, however dark the deeds portrayed. In effect, then, the movie is a sort of crossover between a film noir and a caper. 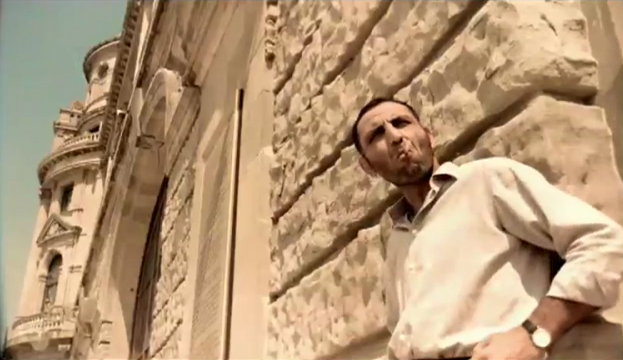 Çarpisma was nominated for a Golden Pardino at the Locarno International Film Festival. 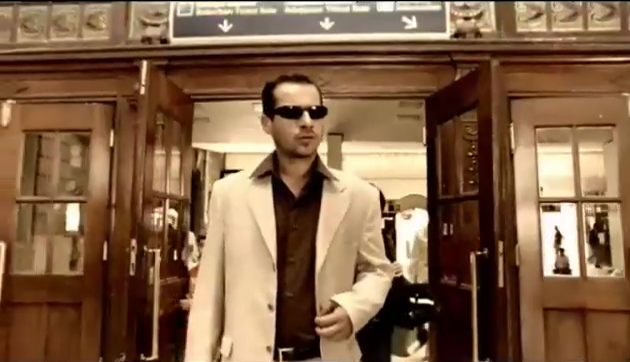 Surprisingly, Umut Aral has only this and another short, Otuzdort (2000; vt Thirtyfour), to his directorial credit. I certainly found enough here to make me want to see more of his work. If you’d like to give Çarpisma a try, it can be watched here. 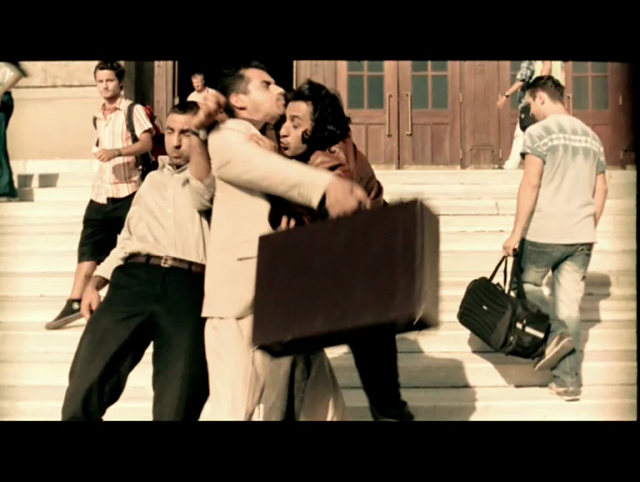 This entry was posted in Uncategorized and tagged Ali Çekirdekçi, Çarpisma (2005), Crash (2005), Gürkan Uygun, Inanç Ayar, Ruhi Sari, Selçuk Uluergüven, Turkish neonoir, Umut Aral. Bookmark the permalink. Thank you for this review of a film I’d never have discovered without you. I so appreciate your attention to shorts and international entries. Thank you for your extraordinarily kind words, Salome. I’m quite overcome, I am! I meant to add, by the way, that the foreign-language movies generally get fewer hits than the others. It’s a tad depressing, as you might imagine. However, because I too like the furrin stuff, there are some more of them coming here soon. Just do it. Those who develop interest will find the post when they need it. Oh, I do persevere with that funny furrin subtitled stuff, not just because I enjoy it myself but because it deserves to be better known, and even a low-traffic site like this might help. And, yes, eventually those entries do pick up hits. But it’s demoralizing that, in the first few days, the furrin movies get far fewer views than anything that’s a modern Hollywood product. Thanks for the link. 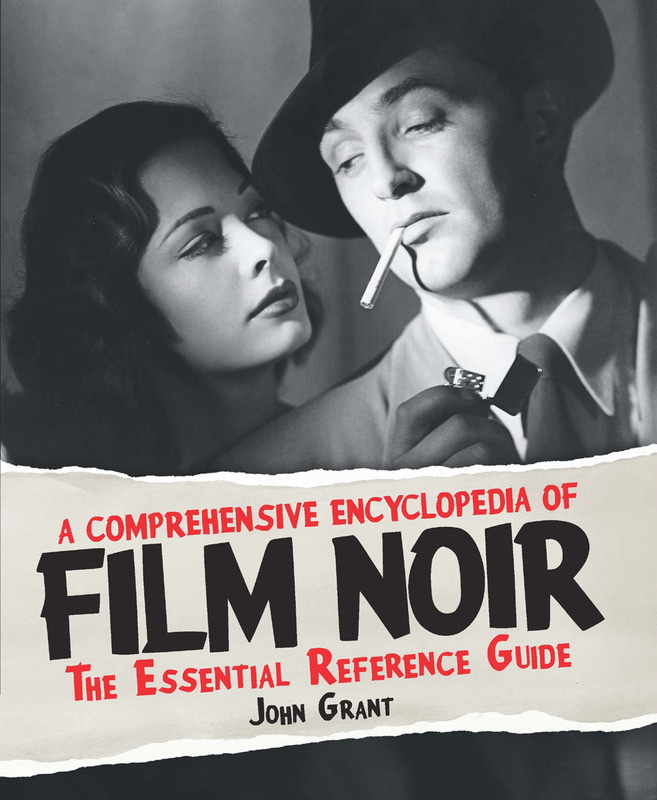 I just finished watching it – a terrific noir! I wouldn’t myself think it’s absolutely terrific, but I certainly found it a lot of fun. I’m hoping the director will do something on a larger scale at some point; he seems to have a lot of talent. Quite a noir piece here, watched it all and hung on for the entire duration. All that smoking alone put it firmly in that genre, but the main deceit as well. So at least for now he got away in the end. I agree with you it is not absolutely first-rate but solid. And yes was that aspect factual or point of view. Great review! Glad you enjoyed the movie, Sam! I may be wrong but I think that all the smoking is a mark of Turkishness rather than necessarily noirishness! I’ll have to ask my favorite niece, who lives there. makes me want to bump into a thief, join a gang, and quit the writing life. I know, I know. Bound to pay better. I do enjoy your reviews of these shorts, films I would never come across without your endorsement. This one sounds perfect for a late afternoon coffee break, so I shall watch it later in the week. As an aside, are you a fan of Nuri Bilge Ceylan’s work, films like Once Upon a Time in Anatolia and Winter Sleep? Thanks for the kind words. I don’t know Ceylan’s work at all, I’m ashamed to say. I’ll have to check it out. Thanks for the tip! 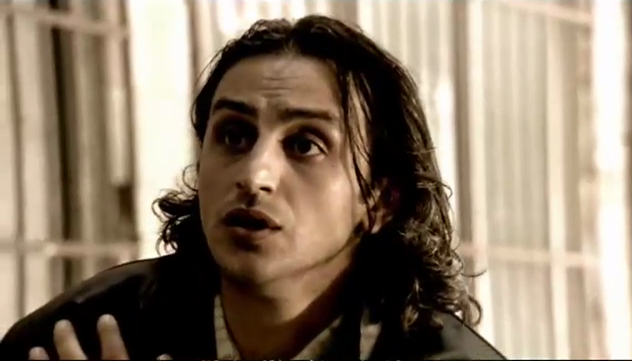 If you’d like to give him a try, I would recommend his most critically acclaimed work, Once Upon a Time in Anatolia. It’s a long film, one that rewards patience and close viewing (I must watch it again soon). There’s a good review of it here in The Guardian. Many thanks for the interesting link, Jacqui. I gather that the other of his movies that you mention, Winter Sleep is even looooooonger — appropriately, just about long enough for a full-scale hibernation. I’ve put in a request for Anatolia at the library. It is. Slow cinema is definitely his style. I hope you like Anatolia – either way, I would be interested to hear how you get on with it.